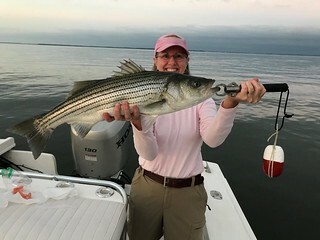 This week offers some exciting fishing opportunities for Maryland anglers — the weather is just about right, the changing color of the leaves paints a beautiful backdrop to outdoor activities and there are plenty of eager fish to catch. 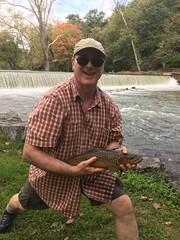 For the next few weeks, state hatcheries are stocking most trout management watersthroughout Maryland. 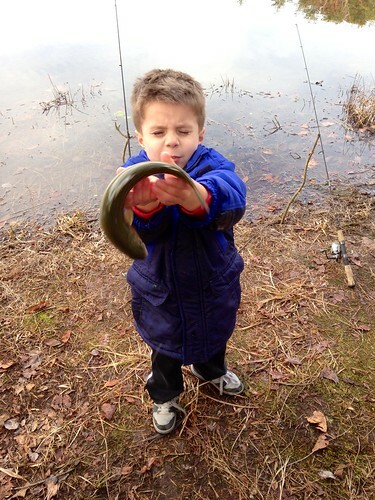 The trout are providing quality fishing close to home and allowing success on a fishing adventure, especially for our younger anglers. This is a time for light-tackle vertical jigging with soft plastic or metal jigs. The advent of braided line has given anglers increased sensitivity; make sure to check the first ten feet or so of line for fuzzing and damage. There is a new generation of braided line with a clear polymer coating that reduces fiber abrasion. Because it makes the line slick, one can cast a lot farther. 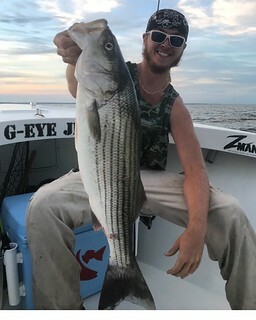 The results of the 2018 striped bass young of the year survey are out, and the news is good. 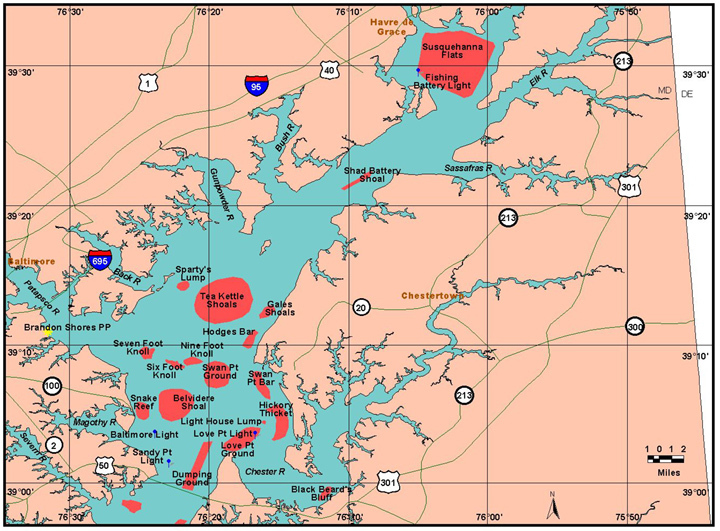 This survey of spring reproduction by spawning striped bass in Maryland’s tidal river spawning areas is one piece of the puzzle about striped bass populations throughout the year. It will be windy Wednesday and again on Saturday with another chance of rain. 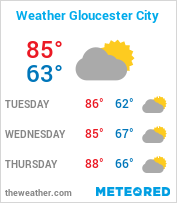 Expect sunny to partly cloudy conditions most of the other days with temperatures from the mid-50s to mid-60s and nighttime temperatures in the upper-40s to low 50s. These breezy, cooling air temperatures continue to mix and cool and uniformly mix bay waters, providing plenty of cool, well oxygenated water from the surface down to the bottom. The upper bay and part of the upper Potomac still suffer from poor water clarity. 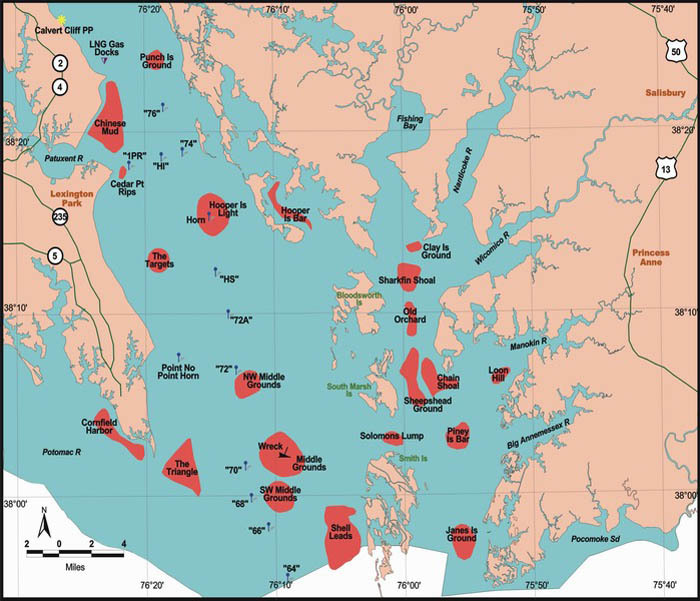 So for this week, anglers should focus on main bay areas with good structure such as underwater points, oyster bottom, reefs, channel edges, and large schools of baitfish. At the Maryland Department of Natural Resources and National Oceanic and Atmospheric Administration buoys, water temperatures are cooling, with the Susquehanna River at 64 degrees, and Gooses Reef and Point Lookout at 70 degrees. Expect the Susquehanna River’s muddy water to continue to reduce clarity in the upper bay down to the Bay Bridge. 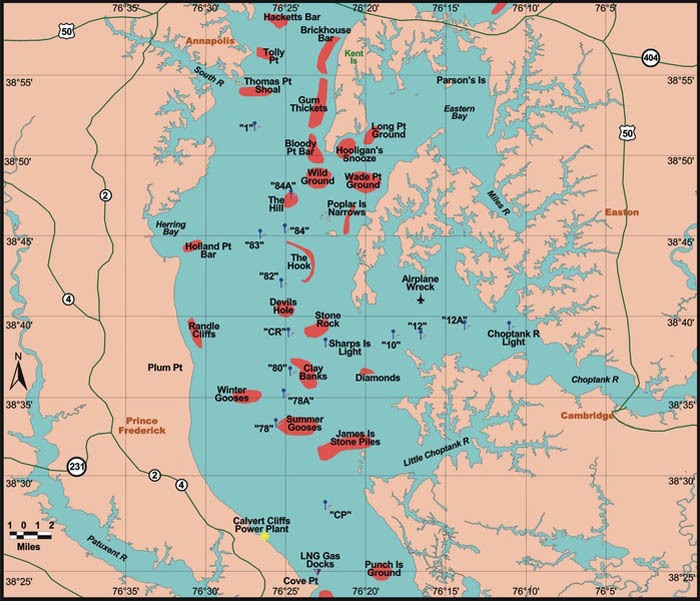 In addition, poor water clarity remains on the Potomac River down to about the Wicomico River. In the mid-bay down to Little Choptank River, including Eastern Bay, expect poor water clarity near the Gooses due to an algal bloom. There will be above average tidal currents from Saturday through Tuesday as a result of the full moon Oct. 24. Chumming is popular and successful at Swan and Podickory points this week along the 25-foot to 30-foot edges. A few resourceful anglers are having success by live-lining small white perch at these locations, and others have been live lining eels near the Francis Scott Key Bridge piers. Trolling is a good option with a variety of lures. Umbrella rigs behind inline weights with swimshad or bucktail trailers are always popular. Small spoons behind inline weights or planers are very productive, gold tends to work better in stained waters and a splash of chartreuse can help a lot. There are still a few Spanish mackerel around and they will jump on those small spoons. Hoses in green or red often work well as do diving crankbaits. Lastly, bucktails dressed with a sassy shad are striped bass killers and often do well being slowly trolled along shallow edges in the lower sections of tidal rivers. Those who take the time to get out on the water and set a trot line or a string of collapsible crab traps have been enjoying excellent success. As most know the crabs are heavy and full as they prepare for the winter months ahead. The best crabbing tends to be in ten feet of water or less. Female crabs have been pesky guests at the dinner table and have been chewing up baits but they do hold the key to future crabbing seasons. The upper Potomac is still running high this week but is falling with fairly clear conditions. Smallmouth bass and walleye have been actively taking spinnerbaits, crankbaits, and jigs. Most of the larger smallmouth are being taken on spinnerbaits. 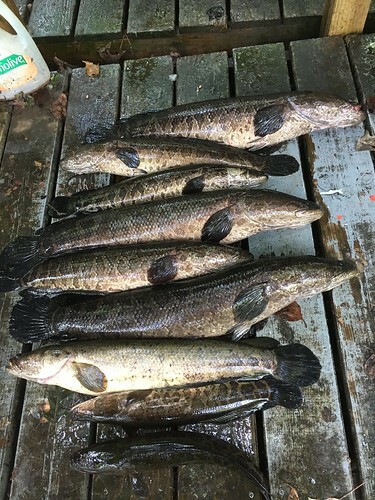 Cooler water temperature and the shortening of daylight hours have caused grass beds to diminish in most areas and these areas are the hiding places for baitfish and crayfish. Both are now moving to deeper waters looking for some sunken wood or similar structure to spend the winter months. Largemouth bass can often be found holding in transition areas between the shallows and these deeper areas. Crayfish are perhaps number one on any largemouth bass’s dinner menu, and they will be looking hard for them. It is not uncommon to notice a reddened lip on largemouth or smallmouth bass this time of the year, since they stab at a hustling crayfish before sucking them in. Crankbaits and craw jigs are excellent baits to use, and spinnerbaits are another good option.